The .NET Framework 4.0 contains a plethora of command line tools ranging from build, deployment, debugging, security to Interop tools, and so on. Here’s a list of important command line tools in the .NET Framework 4.0 which can be run using the Visual Studio Command Prompt. 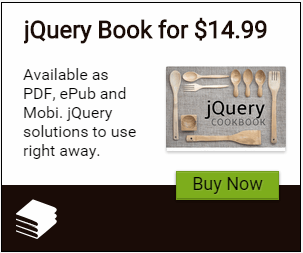 The description of these tools has been taken from the MSDN documentation. Al.exe (Assembly Linker) The Assembly Linker generates a file that has an assembly manifest from one or more files that are either modules or resource files. csc.exe and vbc.exe You can invoke the C# or VB.NET compiler by typing the name of its executable file on the command line. Check MsBuild listed below to programmatically build programs. Gacutil.exe (Global Assembly Cache Tool) The Global Assembly Cache tool allows you to view and manipulate the contents of the global assembly cache and download cache. Ildasm.exe (MSIL Disassembler) The MSIL Disassembler is a companion tool to the MSIL Assembler (Ilasm.exe). Ildasm.exe takes a portable executable (PE) file that contains Microsoft intermediate language (MSIL) code and creates a text file suitable as input to Ilasm.exe. Mage.exe (Manifest Generation and Editing Tool) and MageUI.exe The Manifest Generation and Editing Tool (Mage.exe) is a command-line tool that supports the creation and editing of application and deployment manifests. Regasm.exe (Assembly Registration Tool) The Assembly Registration tool reads the metadata within an assembly and adds the necessary entries to the registry, which allows COM clients to create .NET Framework classes transparently. The .NET Services Installation tool loads and registers an assembly, generates, registers, and installs a type library into a specified COM+ application and configures services that you have added programmatically to your class. Resgen.exe (Resource File Generator) The Resource File Generator converts text (.txt or .restext) files and XML-based resource format (.resx) files to common language runtime binary (.resources) files that can be embedded in a runtime binary executable or compiled into satellite assemblies. Storeadm.exe (Isolated Storage Tool) The Isolated Storage tool lists or removes all existing stores for the current user. Certmgr.exe (Certificate Manager Tool) Manages certificates, certificate trust lists (CTLs), and certificate revocation lists (CRLs). Peverify.exe (PEVerify Tool) Helps you verify whether your Microsoft intermediate language (MSIL) code and associated metadata meet type safety requirements. SignTool.exe (Sign Tool) Sign Tool is a command-line tool that digitally signs files, verifies signatures in files, and time-stamps files. Sn.exe (Strong Name Tool) The Strong Name tool (Sn.exe) helps sign assemblies with strong names. Sn.exe provides options for key management, signature generation, and signature verification. Fuslogvw.exe (Assembly Binding Log Viewer) Displays information about assembly binds to help you diagnose why the .NET Framework cannot locate an assembly at run time. MDbg.exe (.NET Framework Command-Line Debugger) and Sos.dll The NET Framework Command-Line Debugger helps tools vendors and application developers find and fix bugs in programs that target the .NET Framework common language runtime. Tlbexp.exe (Type Library Exporter) The Type Library Exporter generates a type library that describes the types defined in a common language runtime assembly. So which ones are new for .NET 4.0? mscorcfg.msc was never really a command-line tool, and it's been removed from .NET 4, so it shouldn't be on this list. Many of these aren't new with 4.0. and since we're listing old and new...don't forget WCFTestClient.exe! Maybe for filenames like these, you could use capital "L" instead of lowercase "l", which looks like capital "I" (i). Rob, Reelix: MsBuild, csc and vbc have been added to the list. Thanks for pointing it out! MUST know? I think not. Already know because they've been a part of the .NET framework forever? Likely. 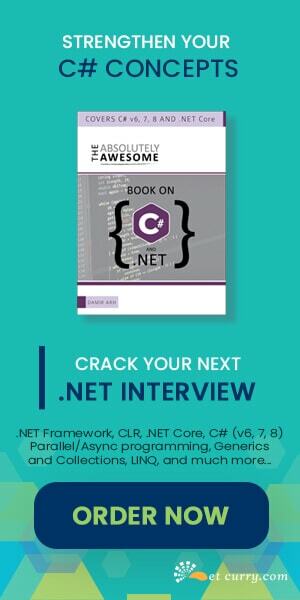 Good to see your content that you provide about .NET framework which i was looking for.Because i just know the basic.